The word "rifugio" literally means "refuge". A rifugio in Italy is usually a rustic mountain shelter or rest stop that often includes sleeping facilities, typically bunk beds in a large communal room. In the mountains above the town of Menaggio, at the foot of Monte Grona, is the Rifugio Menaggio, a place to eat, sleep, drink, relax, and recharge after a long hike. The Rifugio is not technically located in Menaggio, rather it is in the locality of â€œMason del Fedeeâ€� in the municipality of Plesio 1,383 meters above sea level. The Rifugio Menaggio offers some of the most unique and spectacular views of Lake Como. 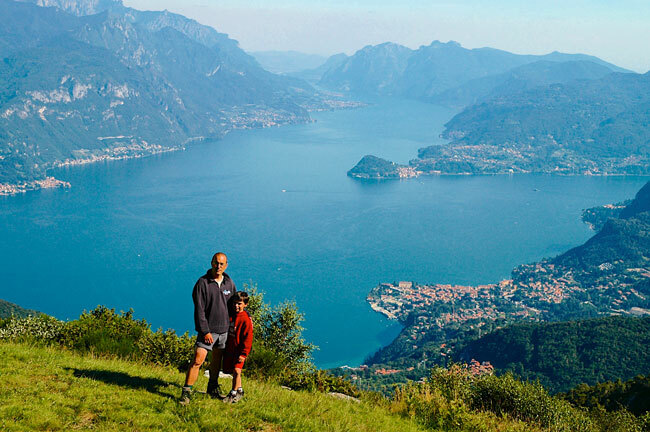 The Rifugio Menaggio offers some of the most unique and spectacular views of Lake Como. If you are and avid hiker visiting Menaggio and the sky is clear, you should not miss a hike up to this Rifugio. Make it either a day trip or an overnight stay that can combine additional hikes to Monte Grona (1,732 m), the church of St. Amate (1,621 m), or Monte Bregagno (2,107 m). If hiking beyond the rifugio during the winter or spring when there is snow, check with the manager of the rifugio to ensure you are taking the route with the least risk of avalanche danger. View of Lake Como from Rifugio Menaggio with Bellagio in the distance. Itâ€™s not really practical to hike from Menaggio all the way up to the Rifugio. Rather, you should get to the town of Breglia, just beyond Plesio, either by car or bus and begin walking from there. The time of the ascent from Breglia to the rifugio is about 2.5 hrs over an elevation gain of 631 m. If you have a car, you can drive a few minutes beyond Breglia to cut your walking time. The Rifugio Menaggio offers typical Italian rifugio accommodation and meals. This means sleeping in bunks in a common room with other hikers and a rustic but usually very good quality meal. Food is typical of the mountains in northern Italy: minestrone soup, polenta, cheese, cured meats, and basic wine. An overnight stay can cost between 15 and 50 Euros depending on if you take breakfast, lunch, and dinner. A hot shower is an additional 5 Euro. A litre of wine is 8 Euros. 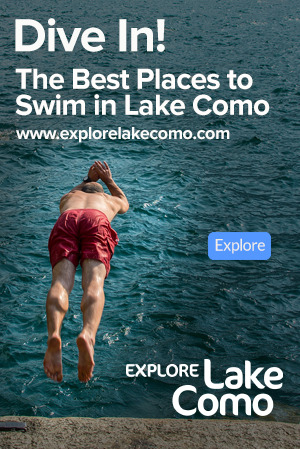 Unlike many other mountain hikes around Lake Como, the Rifugio Menaggio has fresh and cold spring water running in abundance for you to drink and stay cool. 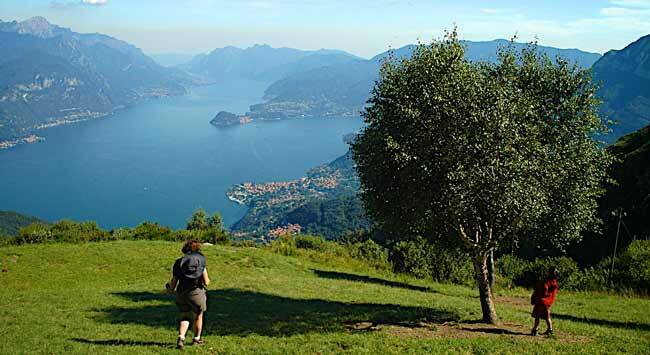 From the town of Menaggio, take the road that leads to Porlezza-Lugano (called â€œla statale della Val Soldaâ€�) for about 1 km until you reach Provincial Road 7 which is the first turn off on your right side and has signs pointing the way to Plesio. Follow the road up to Plesio and then pass the Chiarella spring and water bottling facility until you reach Breglia, about 7kms from the turn off for Plesio mentioned above. Just a little way before Bregliaâ€™s church, take the road on the left for about 2.5 kms to Monti di Breglia (996 metres). Park your car and begin hiking. A sign indicates the way to the rifugio. A good hike for children. The bus will take you to Breglia, but not all the way to Monti di Breglia. So you will need to add about another 40 minutes of walking from Breglia. 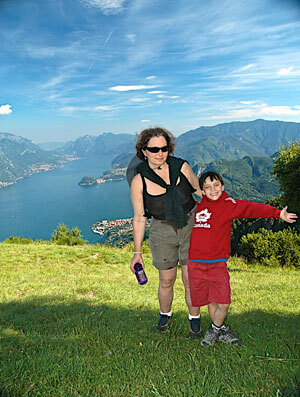 Get to Menaggio either by bus (Autolinee C10) or, from the other side of the lake by Ferry leaving from Varenna. From Menaggio take the bus (Autolinee C13) to Breglia. Open every weekend (Friday night, Saturday, and Sunday) and on holidays. Open all week long from June 15 to September 15.